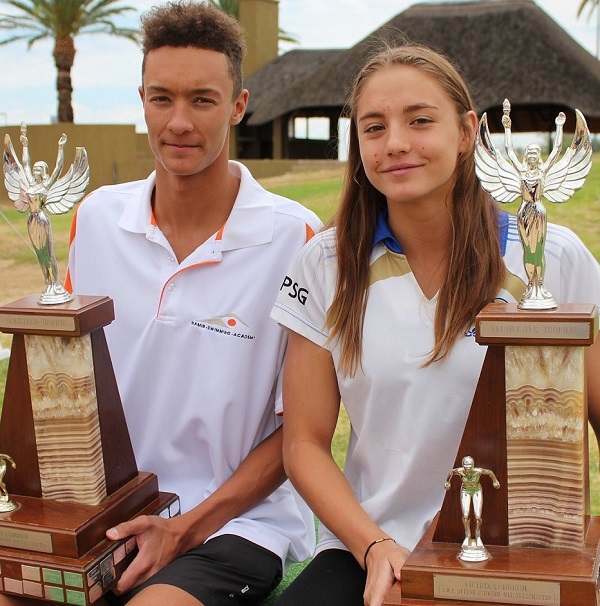 Ronan Wantenaar of Namib Swimming Academy and Heleni Stergiadis of Dolphins are the undisputed national champions after the four-day Bank Windhoek Long Course national championship held over the weekend at the municipal swimming pool in Olympia, Windhoek. The long course gala had 177 swimmers from seven swimming clubs competing in 98 events. The best club performance came from Dolphins with 3858.5 points. 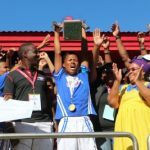 Four clubs from Windhoek, two from Swakopmund and one from Oranjemund participated. Wantenaar and Stergiadis received the Senior Victor and Senior Victrix Ludora trophies. Wantenaar also won the Single Best Performance trophy for scoring 603 FINA (Fédération Internationale de Natation) points in the Men’s 17 and over 100-metre freestyle. 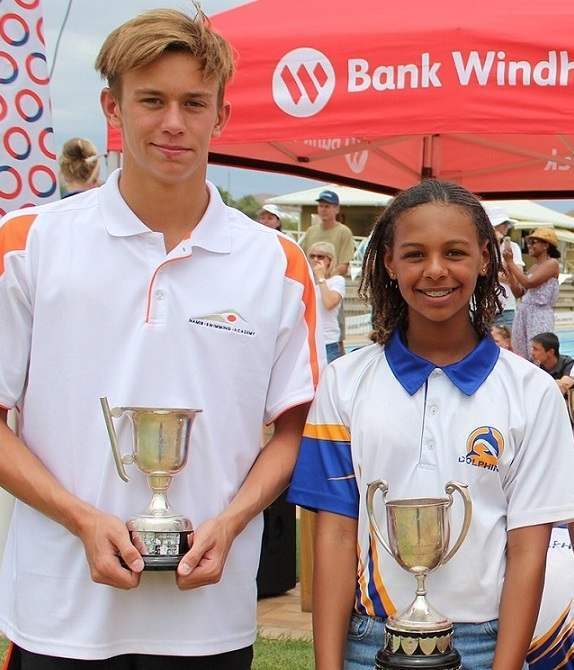 Wantenaar and Stergiadis will represent Namibia next month at the South African Junior championship in Durban. In the senior men’s category, Corné le Roux and Bernard Theron, both from Dolphins, scored second and third position respectively. In the women’s category, the second spot was taken by Joanne Liebenberg with Viktoria Ellmies third, both also from Dolphins. In the younger categories, 14 and under, Mikah Burger from Namib Swimming Academy (NSA) was the top swimmer with José Canjulo, also an NSA swimmer, second and Oliver Durand from Dolphins third. Among the girls, Ariana Naukosho from Dolphins was best, with Trisha Mutumbulua, another Dolphins swimmer, second and Jessica Humphrey from Aqua third. Over the four-day championship, several national records were broken. José Canjulo broke Mikah Burger’s 2018 record in the men’s under 13/14 200-metre Individual Medley. Lilia Ellis, Emma Brinkmann, Ainoa Naukosho and Vitoria de Sousa from Dolphins A team, broke the Girls 8 and Under 200m Freestyle Relay record which stood for three years. Mikah Burger, Jose Canjulo, Christopher de Jager and Brave Magongo from NSA smashed the Boys under 13/14 200m Freestyle Relay record which was set five years ago. They also broke the 2018 Boys 13/14 200m Medley Relay record. Dolphins’ A team swimmers Quinn Ellis, Roche Brand, Oliver Durand and Henry Grant broke the Boys 11/12 200m Medley Relay record set in 2009. Another Dolphins A team, André and Jurie Badenhorst, Naan Jiao and Ryan Steyn, broke the Boys 8 and Under 200m Freestyle Relay record set in 1986.